“Boondocking”, “Dry Camping”, “Dispersed Camping” are all ways to describe camping without hookups. One of the most common areas to do this at is BLM Land. The BLM manages 264 million acres of public lands mostly in the 12 western states. 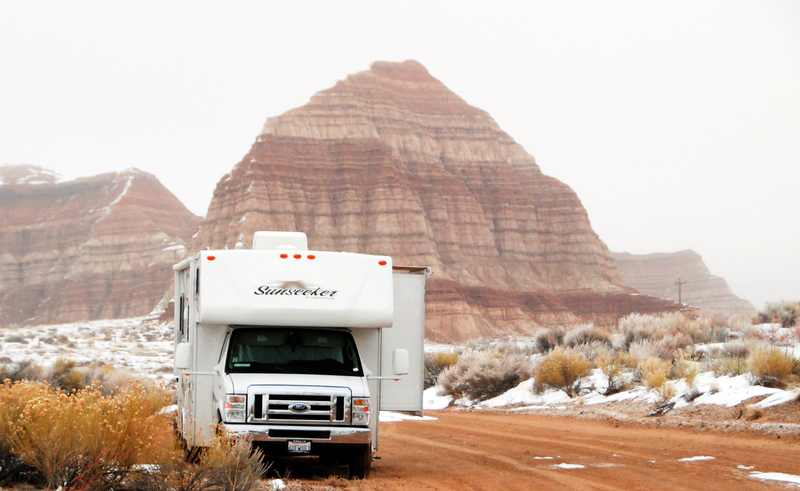 As a general rule, boondocking is allowed anywhere on federal public lands within 300 feet of any established road, except where otherwise restricted. 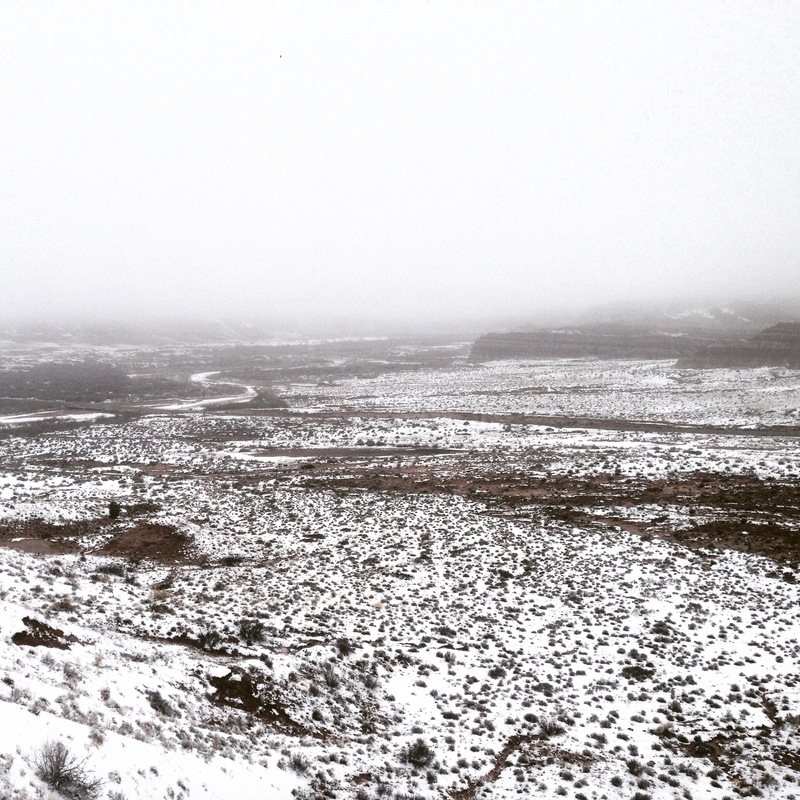 We have heard so many great things about BLM Land and took the opportunity when we were in Southwest Utah. With our Class C RV we headed out to find a spot on the Paria River at an old gravel pit in the Grand Staircase Escalante. I found it on freecampsites.net. 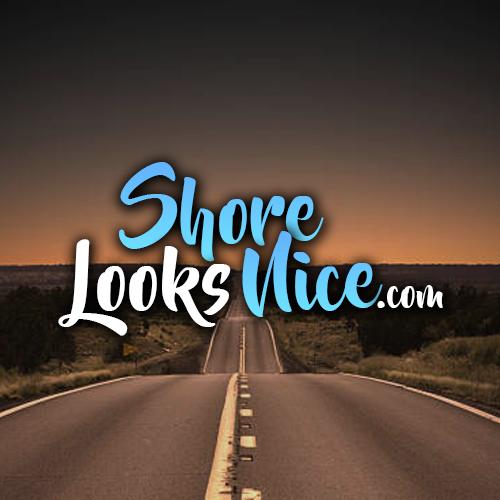 We love it and have found it very helpful. We got a later start on the drive than we expected and it was dark when we got to the spot. I love getting to a new area in the dark because it’s always a surprise what the view is in the morning. The view the next morning was so breathe taking. We went for a hike. We were blown away at the experience, the beauty and the solitude. We had great AT&T cell service but not Verizon. 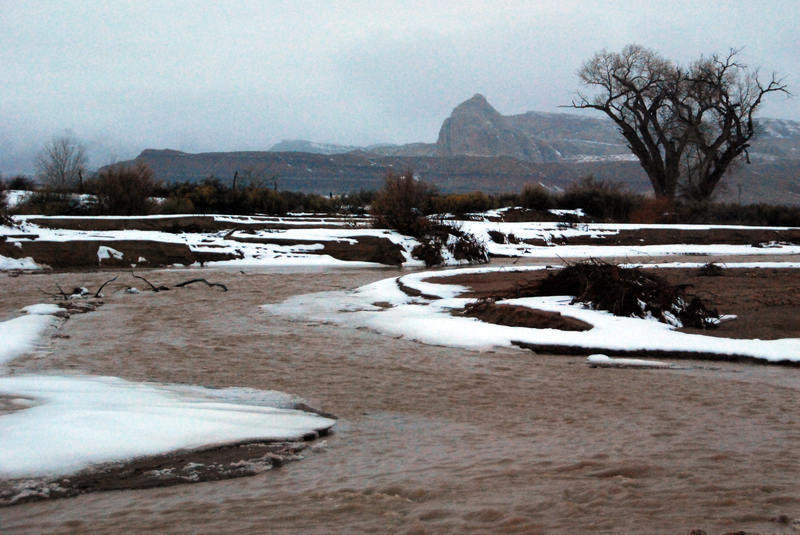 The Paria River is a tributary to the Colorado River. 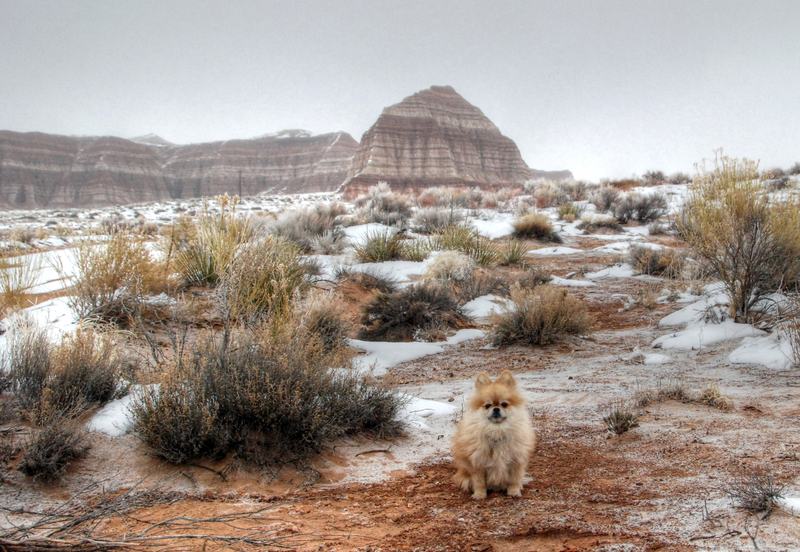 The Traveling Pomeranian loves RVing to BLM Land because she gets to go hiking with us. Can you see the RV? Hint: it’s near the middle of the picture. BLM Land exceeded our expectations and we will be back to do this again. What a fun time!